April 20, 2016; 5 p.m.
A massive renovation project is underway on the grounds around the St. Louis Gateway Arch. The Arch has been attracting millions of visitors for decades but visitor numbers are currently at a historic low. Project developers are hoping that the renovations will bring those numbers back up. “I’ve visited the Arch in the past and I enjoyed it with my own children and I wanted to bring my grandchildren to experience the arch,” said out-of-town visitor Nancy Blair. Before the start of the grounds project the Arch was separated from the rest of the city by two lanes of traffic. The project started in 2013 with the intention of making it easier and safer for people to enjoy the Arch. The arch ground before the two lanes of road were replaced by park. Project Communications Coordinator Tom Nagel says the updates will make the Arch more accessible and more beautiful. 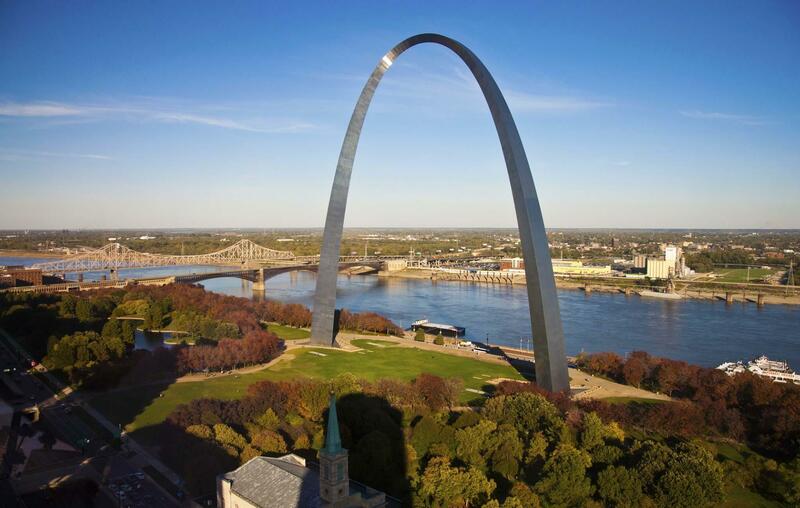 “The Arch is not just a symbol of our city, it’s a national monument. And it really belongs to the whole country. It’s a monument to the western expansion of the United States,” said Nagel. St. Louis city and county taxpayers voted in favor of a sales tax increase to help fund the project. That will cover $90 million of the cost. The rest of the project is funded by $69 million worth of state and federal grants and $221 million in donations. “This is not just a project in downtown St. Louis. 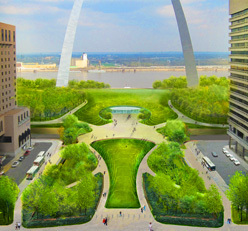 This is a regional project that connects the Arch not just physically to the city but culturally to the rest of the region,” said Nagel. The City Arch River project is hoping to attract an extra million visitors per year.The economic impact of that many visitors is the equivalent of adding a second Cardinal’s baseball season. 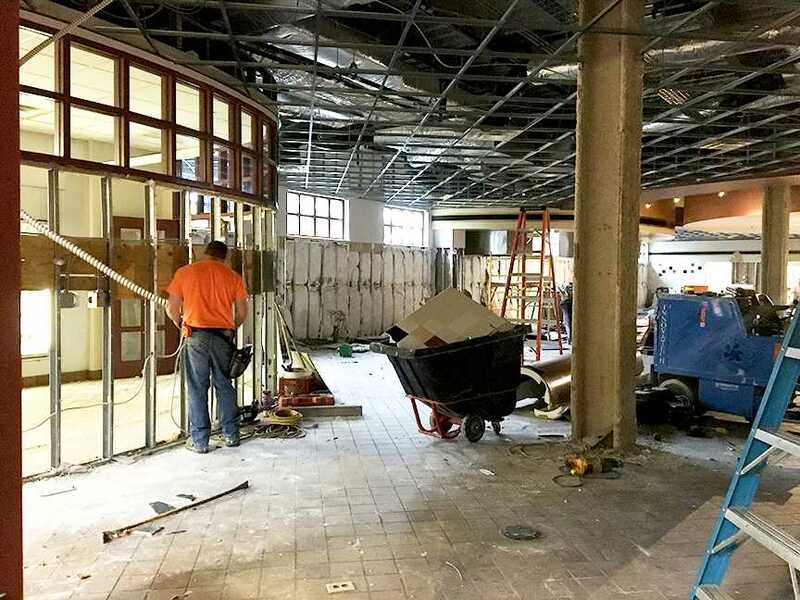 Renovations include a new museum under the arch, renovations to the parks around the arch and the addition of a 1.7 mile bicycle and pedestrian trail around the Arch. A computer image of what the final product will look like. Tom Weiland and his wife come from central Illinois several times per year to watch the Cardinals play. He said each time they’re in town, they check the progress of the Arch project. “Every time we came to town we wanted to come by and see how it was progressing. It looks awesome. We just walked through the park expansion behind us and we really think that’s very beautiful,” said Weiland. Nagel said the riverfront will open in May, the grounds around the arch and park will open this fall and the new museum is expected to open next year. Rides to the top of the arch are currently open.